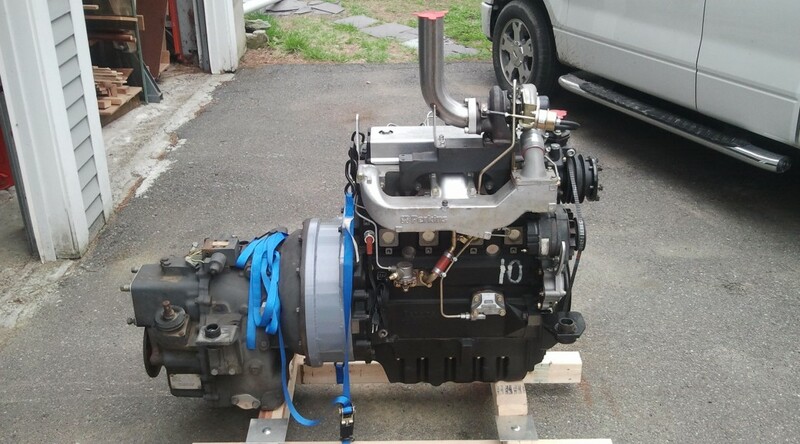 The new engine is ready for installation, and the backhoe engine bay is ready to receive it. 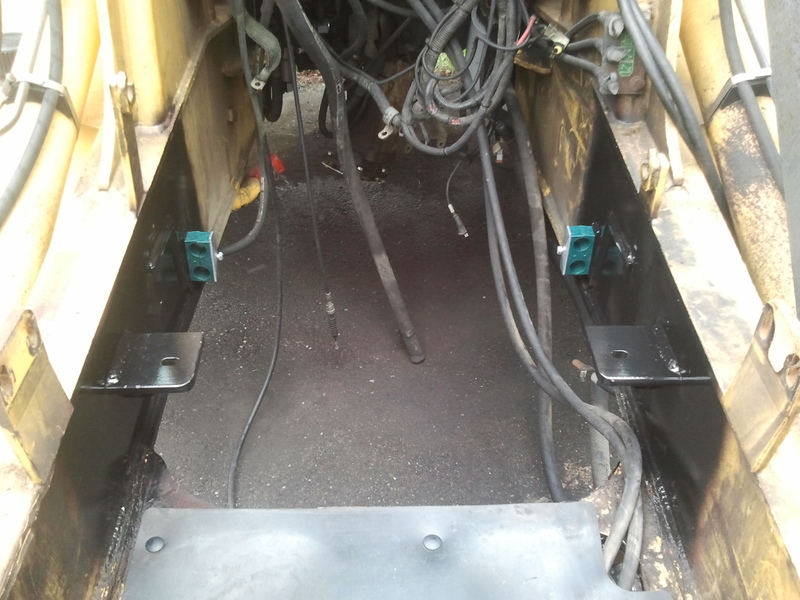 Both of the new front motor mounts are welded in, the old motor mounts have been removed, and new hose managers installed. 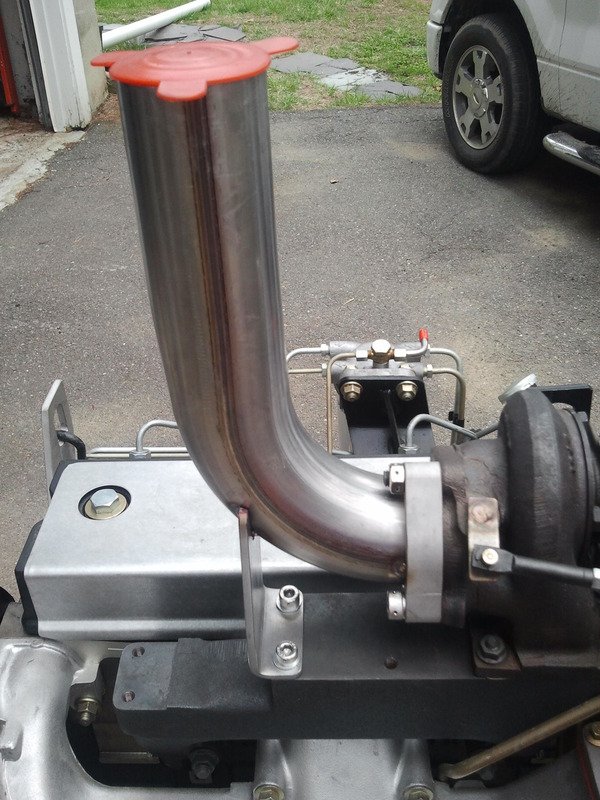 While waiting on the weather to cooperate so I can install the engine, I got started on the new exhaust system. 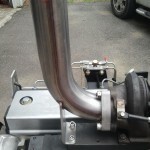 On a car, this would be called the turbo “down”pipe . Here, it exits straight up and a 5” cherry-bomb muffler will slip over the end. 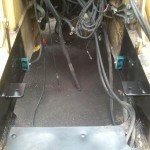 Everything is tacked for the moment until I can verify the position once the engine is installed in the backhoe.